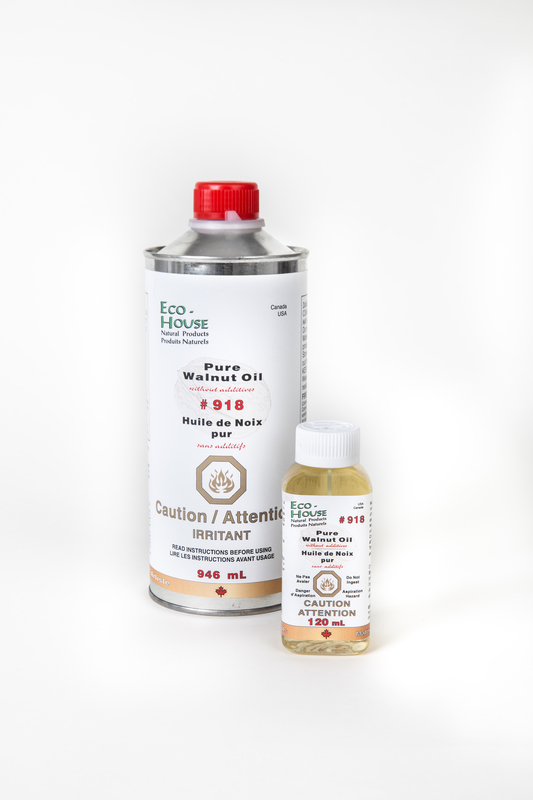 #918 Pure Walnut Oil | Eco-House Inc.
Self-drying oil for use as painting medium or medium ingredient. It is self-levelling (i.e. less streaking) and without driers or additives. 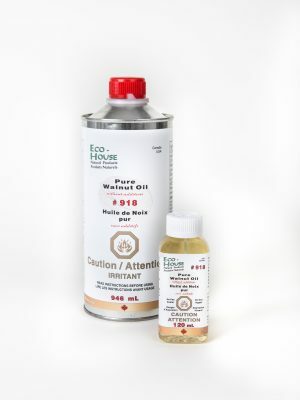 Can be mixed with #115 Xtra Mild Citrus Thinner or #125 Neutral Thin. To shorten drying time, add a few drops of #921 CoZiCa Drier Blend.